Create a BiblioBoard Library profile to bookmark, favorite and view recent history. Use Pressbooks to design your own books, newsletters, poetry, novels and any other written content in digital and print-ready formats. SELF-e, in partnership with Library Journal, is a turnkey program where local authors share their work to a statewide collection with the potential for national readership exposure. 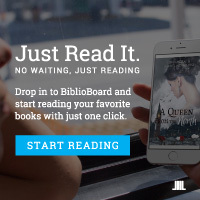 With all multi-user, unlimited content, never experience a hold, checkout limit or a lending period when reading on BiblioBoard Library. Enjoy a Community Reads (Popup Picks) collection made up of content from top indie publishers, curated by Publishers Weekly. Access one-of-a-kind, self-published ebooks through Indie GA.